Are you ready to learn how to grow a garden? There are a lot of different approaches. You could garden in containers, in raised beds, in double-dug beds, use or organic gardening or no-till methods. There are many resources on this site and others that will help you decide which style of garden will work best for you. Before you can focus on how to grow a garden you need to learn when to start the garden. 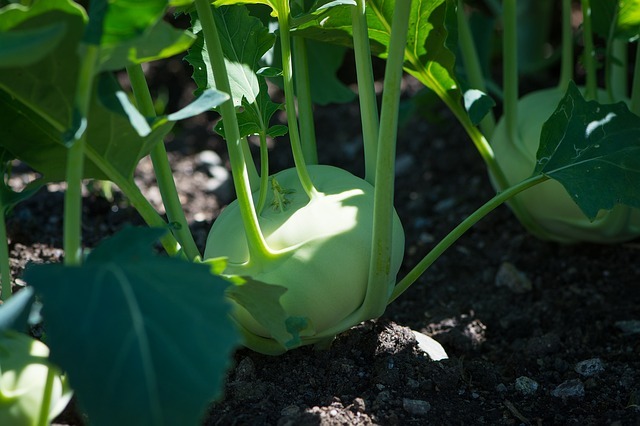 Each type of vegetable or fruit has its own growing season, and will need to be started from seed or transplant in the garden at the right time. If you live in an area with a short growing season, you can use organic gardening techniques like using a cold frame, greenhouse or cloche to extend your growing season. When you are learning how to start a new vegetable garden, timing is essential. Organic gardening seeds and conventional hybrid seeds are both typically labeled with the month in which they should be planted, based on the region, or zone, you live in. These dates are based off of the USDA when to plant vegetables chart, which is the standard for determining planting times in the United States. You’ve decided which style of garden to use, and you know what zone you’re in and you know when to plant each type of seed. Garden in the sunshine, but don’t get burnt- Vegetables need light, but not too much. Learn about each plant in your garden and place it in the right place. For instance, tomatoes like sunshine, but don’t need more than six hours of direct light a day. Greens like lettuce and kale only need 2-4 hours of sun and actually thrive in the shade of other plants. Check the soil before watering – When you are first learning how to grow a garden you might be afraid of letting your plants dry out. Even if the surface of the garden looks dry, it could be nice and moist at root level. Don’t water until the soil is dry four inches down, unless you have new transplants or are starting seeds, both of which need frequent watering. Not all weeds must die – Many weeds are actually beneficial in your garden. They attract pollinators, bring up minerals from deep in the earth and shade the soil to slow evaporation. Pull out anything that is crowding your veggies, and get all the grass, but leave the rest alone. Grow soil, not vegetables – Learning how to build soil is much more important than learning how to start a garden. Creating healthy soil with organic amendments, mulch and careful tilling is the single most important thing you can do for your garden. Have fun! – You’re not just interested in how to grow a garden because you want fresh produce. This is a great way to enjoy the outdoors, get some exercise and have fun. Plant things you like to eat and enjoy working with. Get your kids involved. Make gardening something you love doing. Learn how to grow a lot of food in a small garden space, using simple organic gardening techniques.